It is a lovely book, spiral bound so it lays flat, with a pocket for all the pattern sheets. There are a couple of things to make for babies, then many of the clothes are for 2/3 upto 6/7. Niblet is too grown up for the baby things and, without measuring, may not be quite big enough for the boys things. So I may have to wait for my first project. Not that it matters, finding time for these things can often be a little hard!! 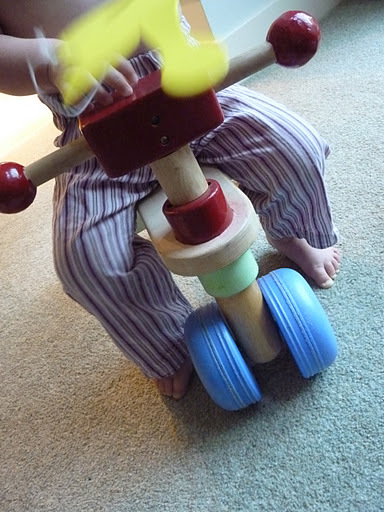 This entry was posted in making and tagged Niblet, pyjamas, sewing for boys. Bookmark the permalink.